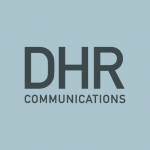 What we’ve been working on recently… August 27, 2010 August is meant to be a relatively quiet month for PR and public affairs, but DHR Communications has been busy working on a number of client projects. DHR Chair Appointed Director of New Conflict Intervention Centre August 13, 2010 The Chairperson of DHR Communications, Peter Cassells, was recently announced as the first Executive Director of the new Kennedy Centre for Conflict Intervention at NUI Maynooth. Leadership Training Programme for New Community Leaders July 9, 2010 Sponosored by the Community Foundation for Ireland, the Leadership for Community Leaders training programme is designed to foster, promote, and enhance ethnic minority involvement in local, regional and national policymaking fora in Dublin, Limerick and Cork. It is being organised by the New Communities Partnership and delivered by DHR Communications. Video Footage from Irish Aid’s Africa Day Dublin Event June 16, 2010 Video footage from Irish Aid's Africa Day Dublin event is now available to view here. DHR Communications project managed Africa Day Dublin this year, along with Africa Day Limerick, Irish Aid's second flagship Africa Day event.